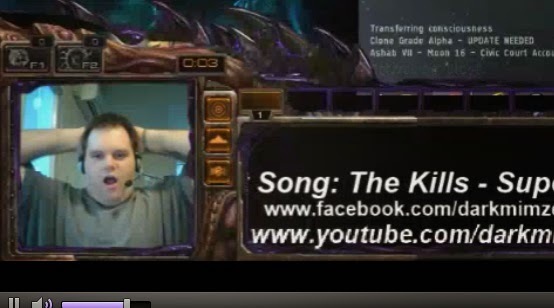 Twitch.tv is a popular live-streaming website. 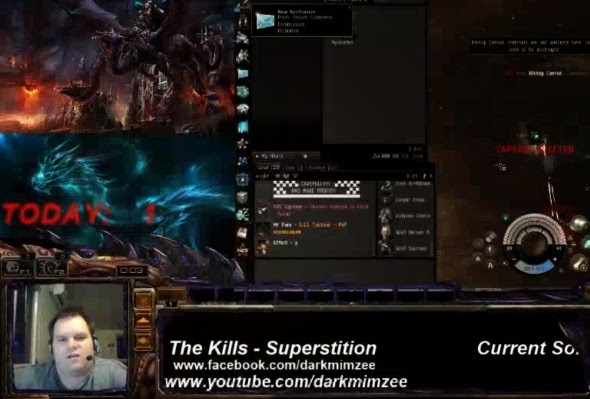 Some gamers use Twitch to broadcast footage of themselves playing EVE. Players get to show off EVE, viewers get to watch exciting things happen, and CCP gets some good, free publicity. Everyone wins. Right? ...Wrong. As difficult as it is to believe, carebears are abusing their Twitch privileges by streaming themselves mining in highsec. This is a nightmare for CCP. No one would ever want to play EVE after watching someone mine in highsec. Viewers of these streams get a terrible impression of EVE and are bound to spread negative word-of-mouth about the game. I would hate to see CCP go bankrupt because carebears were streaming irresponsibly. The only thing worse than streaming highsec mining is streaming illegal highsec mining. The streamer in question was named toxic meltdown--a perfect name for a rebel miner! 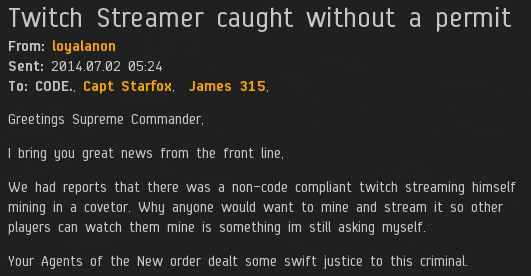 Based on real-time intel from the stream, Agents Mildron Klinker, Nitetime Video, Vargur Prime, and Princess Suicide were able to find the rebel and shut him down. Naturally, he was anti-tanked. The act of Code enforcement was broadcast live. For the first time ever, toxic meltdown actually streamed the real EVE. Every MMORPG allows you to accumulate stuff. EVE is the only one where other players can force you to experience loss with consequences. That's what makes EVE unique. Thus, the essence of EVE is not to build wealth and gather resources, but to lose them. 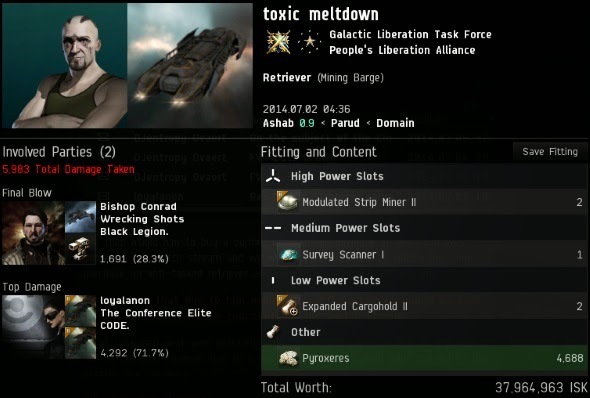 toxic meltdown was amazed to discover what it felt like to play EVE. 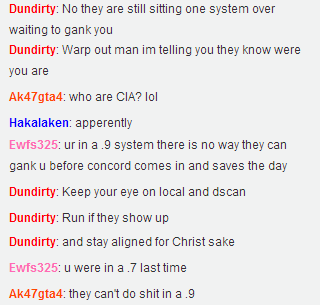 In the stream chat, other players gave toxic meltdown advice on how to avoid the gankers. Instead of recommending the purchase of a permit or tank mods, they told him to mine in a 0.9 security system. Apparently they wanted the stream they were watching to be as boring as possible. Agents Bishop Conrad, loyalanon, and Jerry Rin were on the case. Protip: If you're trying to escape from the New Order, highsec isn't a great place to hide. They tracked down the criminal and brought him to justice. Even 0.9 security systems are part of my territory. All highsec belongs to the New Order. loyalanon spared no expense. A tech II fitted Deimos was used as a suicide gank vessel to ensure the success of the operation. 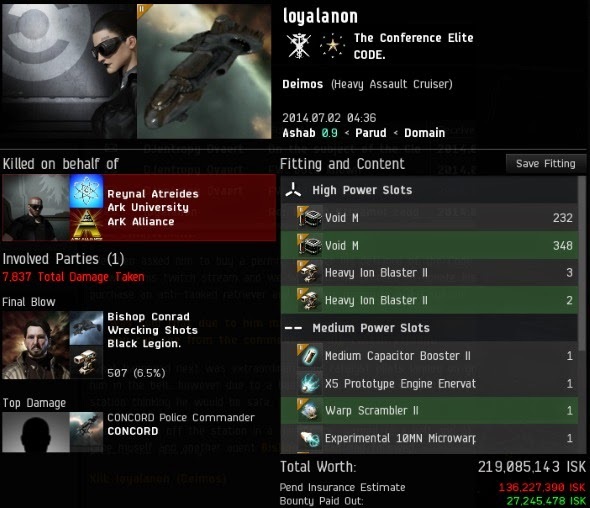 Bishop put a bit of damage on loyalanon's ship, so 27 million isk of the loss was reimbursed by the rebels who place bounties on our Agents. The point was made, and made well. toxic meltdown's audience intended to watch a random dude stream himself mining, but they witnessed the power of the Code instead. This screenshot was taken at the very moment the dead Retriever ejected toxic meltdown's Capsule. He was a little bummed. And yet, were it not for the bravery of our Agents, it's likely he never would have tasted the pleasure of emergent gameplay. Nor would his viewers. We don't call our Agents "heroes" for nothing. They earn all the praise they get--and more. Good job, New Order. That was an operation that HAD to be shut down \o/. I for one, would LOVE to see that stream footage. The gank I mean, not the mining. Suicide ganking in a Deimos and a Moa? Was it some troll? A single meta nado would have done the job. we are sorry that more than one person was involved in the kill, and this doesnt meet your approval gev. wait, no we arent. respect for your opinion, but we are not an army of one. I had my security status tagged up due to killing war targets, this guy was in a 0.9 - tried to warp away once the 2nd gank squad landed, i followed to station and bumped him off he warped back to the belt and I was the first thing there so killed him - yes in a pvp fit deimos. Suicide ganking in a Deimos? The things people do to get on the telly. The things people cry about on comments section on a blog. Never not gank with a PvP Deimos! Their, there and they're. Learn them. Know them. Live them. 0.417% of people enjoy pedantry. I think maybe AK47gta4 should return to games he may know something about. EVE does not appear to be in his specialty. The Code always wins AK45gta4, even in 0.9. Epic job guys! I'm glad this streamer and his audience were able to witness Eve for it's core purpose. I hope he learned a valuable lesson and next time he players he doesn't mine, ..but if he does, he does so with a permit! a Code gank in Piekura against a skiff. the code always wins NOT. You win some lose many but rather mind its all about the fun. Bobbins.. one of our main goals is to get people to actually play the game. 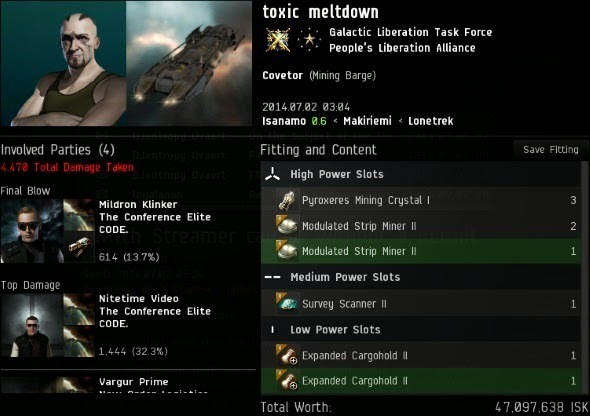 If the skiff gank failed because someone actually played instead of a k mining in an anti - tanked covetor... then we win. LOL so this is what a highsec miner looks like. "This is a nightmare for CCP"
If that was not convenient to CCP, they would already have changed the rules. Instead of that, they buffed the barges. They are developpers, remember. They do what they want. The reality is that Eve is two games in one : Highsec and Lowsec. Why do lowsec players chase carebears ? - By religion/ideology. Like religious extremists or stupid patriotists, they just do war without understanding they serve the interest of their masters. - For resources speculating (the smarters). War is always matter of money and resources. High-sec ganking is nothing else : a bunch of soldiers indoctrinated by their smart masters. The difference is that in Eve the resources are unlimited.